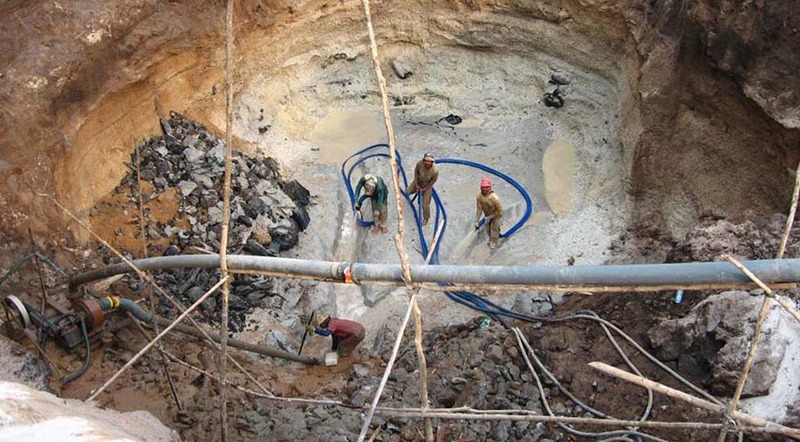 GEF's funding for mercury programmes has increased to $206 million in its new four-year investment cycle. Photo: GEF Flickr. The second meeting of the Conference of the Parties to the Minamata Convention on Mercury (COP2) opens today in Geneva, Switzerland. The Minamata Convention, the newest multilateral environmental agreement, was adopted in 2013 in Kumamoto, Japan and entered into force in August, 2017. The Convention commits to protect human health and the environment from the toxic effects of mercury. The Global Environment Facility (GEF) is included in the financial mechanism for the convention. In its new four-year investment cycle, (known as GEF-7), funding for mercury programmes has increased to $206 million. This will be used to phase out, reduce, and where possible eliminate mercury in priority sectors of the Convention. Funding for mercury is included in the four GEF-7 chemicals and waste programming lines and includes support for enabling activities, reduction of mercury emissions and releases from sectors specified by the Minamata Convention, as well as phase out and elimination of mercury in products and processes that are included in the Minamata Convention. Through the Minamata Convention the international community seeks to eliminate human-related releases and emissions of mercury by: eliminating primary mercury mining; cutting the uses of mercury in products and processes as viable alternatives become available; minimizing the releases of mercury as by-product from coal combustion, as well as industrial and manufacturing processes; and ensuring the sound management and disposal of mercury and its waste streams. As a naturally occurring element, mercury is infinitely persistent. Once vaporized into the air, or released into water, the oceans, or onto soil, mercury persists, gradually accumulating in flora and fauna such as fish and terrestrial and marine mammals. Mercury travels over great distances including through migratory species, to affect people and the environment far from where it originated. There is no safe limit when it comes to mercury and its organic compounds. Breathing contaminated air or consuming contaminated food is harmful to anyone. Pregnant women, infants and young children are particularly vulnerable, as damage caused by mercury is neurological and irreversible. It is harmful also to animals. Efforts to reduce mercury contamination are already underway. The challenge is that mercury is still part of many of our everyday processes and products. Mercury is released through mining, metal and cement production, the combustion of fossil fuels, and the burning of waste. Mercury is also part of several industrial processes, such as chlor-alkali manufacturing. While the application of dental amalgam fillings is familiar to many, what is not widely known is mercury’s use also in electrical switches, measuring devices, cosmetics, fluorescent and UV lamps, and batteries. Support to now 110 countries to conduct Minamata Initial Assessments and 32 countries to conduct ASGM National Action Plans. Support to synergies both within the chemicals and waste cluster and with other focal areas of the GEF. The GEF’s support for the Minamata Convention is part of its broad effort to meet the challenge of toxic chemical pollution. Many of the products we use today involve complex and long global supply chains which span from material extraction to disposal at the end of life. With such a global scale of materials and product production and consumption, dealing with products and materials at the end of life is not sustainable and there is an urgent need to transform the use of chemicals along the supply chain. To achieve transformational change, GEF projects seek closer integration with global supply chains. These efforts help ensure that products crossing national borders are free of global priority substances that otherwise enter into markets and recycling chains. Increasingly, this process engages the private sector. The GEF can help to convene the relevant stakeholders and function as an honest broker in facilitating the work needed to help transform the chemicals industry and related products and materials streams. The question of how to prevent a toxic legacy, and to transform the use of chemicals in supply chains was the topic of a high-level roundtable at the GEF Assembly in Viet Nam earlier this year - for more information see the attached background note.